In the article, the translation of which we publish today, we will talk about how to create container components in React-applications that are associated with the state of Redux. This material is based on the description of the mechanism of state management in React using the package react-redux . It is assumed that you already have a basic understanding of the architecture and API libraries, of which we will talk. If this is not the case, refer to the documentation on React and Redux . Flux , Redux , MobX . Redux is a library designed to create containers used to store application state. It offers the developer clear tools for managing the state, which behave predictably. This library is suitable both for applications written in pure jаvascript, and for projects that were developed using any framework. Redux is small in size, but it allows you to write reliable applications that work in different environments. Presentation components. They are responsible only for the appearance of the application and are not aware of the status of Redux. They receive data through properties and can callbacks, which are also passed to them through properties. Components-containers. They are responsible for the operation of the internal mechanisms of the application and interact with the state of Redux. They are often created using react-redux, they can implement the redux actions. In addition, they subscribe to state changes. Details on such an approach to the separation of responsibility of components can be read here . In this material, we will mainly talk about the container components connected to the Redux state using react-redux. - allows you to create a wrapper for the React-application and make the Redux state accessible to all container components in its hierarchy. connect ([mapStateToProps],[mapDispatchToProps],[mergeProps],[options]) - allows you to create higher-order components. This is necessary to create container components based on React's basic components. Here is    page of the documentation, having familiarized with which, you can learn about what parameters can be used with    connect ()    , and how they modify the behavior of this function. 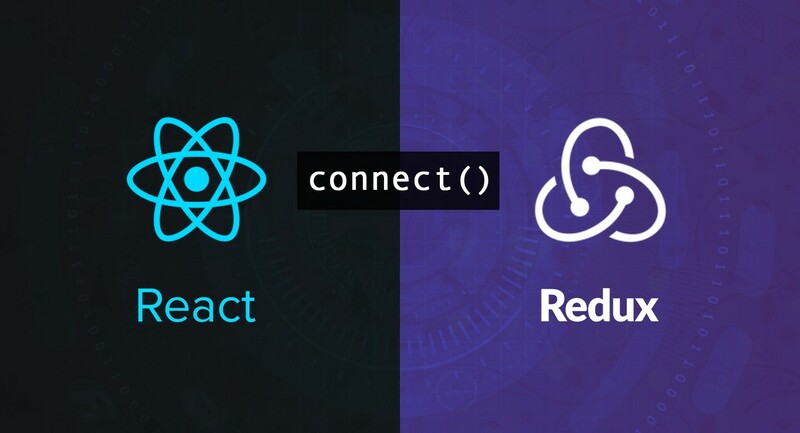 Before converting a regular React component to a container component using    connect ()    , you need to create a Redux store, to which this component will be connected. In order for this component to be used in the application, it will be necessary to describe the Redux store to which this component needs to be connected. Otherwise, an error occurs. There are two ways to do this, which we will now consider. Setting the store property in the component. If you want to set the Redux repository for the application only once, then you will be interested in the way that we will now consider. It is usually suitable for applications that use only one Redux store. As already mentioned, the functions mapStateToProps and mapDispatchToProps , transmitted by connect () , can be declared with the second parameter ownProps , which is the properties of the component. However, there is one problem here. If the number of mandatory parameters of the declared function is less than ? then ownProps will not be transmitted. But if the function is declared with no mandatory parameters or, at least, with 2 parameters, ownProps will be transmitted. Let's consider some variants of work with ownProps . There is only one parameter, state . As a result, arguments takes the value undefined because of the fact that ownProps not getting through. There is only one required parameter, state , since the second parameter, ownProps , is optional because it is set to the default value. As a result, since there is only one mandatory parameter, ownProps is not passed, and mapping is performed with the default value that was assigned to it, that is, with an empty object. Here everything is arranged very simply. Namely, in this situation, the transmission of is made. ownProps because the function is declared with two required parameters. this the documentation section for react-redux. Dear readers! Do you use the package react-redux in your projects?